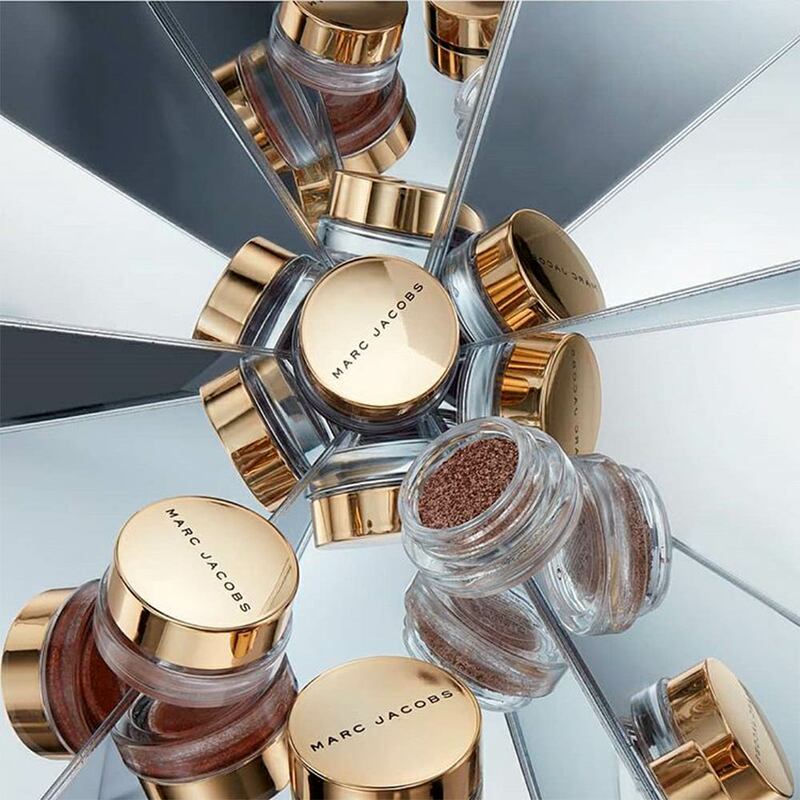 The Shine Factory Collection from Marc Jacobs Beauty is all about the Shimmer. Marc Jacobs Beauty brings us a Christmas collection, loaded with glitter and glam. 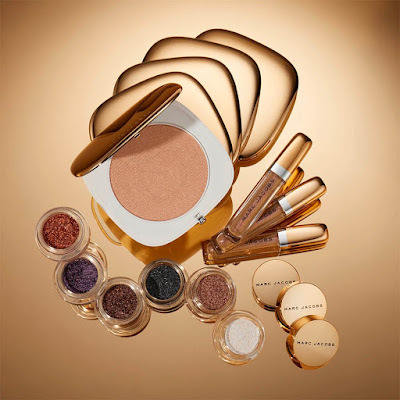 The new Shine Factory collection is encased in luxurious gold colored packaging, inspired by the high-glam, anything-goes aesthetic from the mod era. 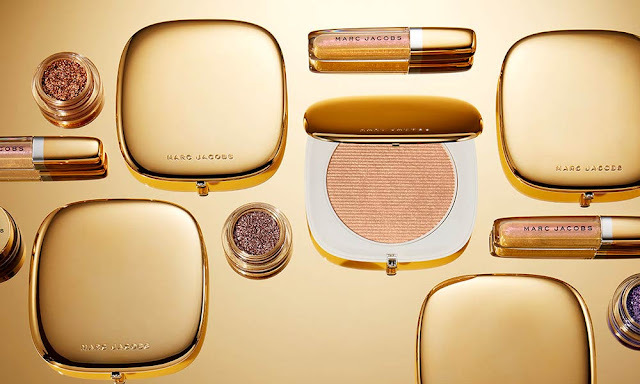 Envisioned as a full blown holiday collection filled with bold colors where eyes are exaggerated with glittering jewel tones, cheekbones and body are glazed in gold highlight, and lips get the full-glam treatment. Shine Factory capsule collection includes 6 shades of the new See-Quins Glam Glitter Eyeshadow that made its debut at the designer's FW18 runway show. There’s also a brand new O!Mega Glaze Luminizer, a limited edition gold colored Enamored Hi-Shine Gloss Lip Lacquer, and two super-cute sets. Sequin-finish eyeshadow in a pot adds super-shimmering dimension to any look. previously released in two shades, is now available in a full spectrum of boldly pigmented colors infused with high-impact sparkle. This sequin-finish eyeshadow is created using the innovative demi-pressed process, which allows the formula to apply more vividly, and gives the glitter maximum sparkle with minimum fallout. The versatile formula can be packed on for intense glitter or blended for a soft wash of sparkle. A limited edition warm, peachy gold all-over foil luminizer. 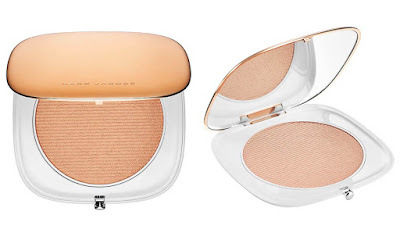 Housed in an oversized gold mirrored compact that opens to reveal the peachy gold pressed powder formulated with micro-fine particles. Suitable for use on both face and body. Limited edition lip gloss delivers maximum color and brilliance with its unique Triple Shine Complex, a blend of high-performance ingredients that provide unstoppable wear and shine like 30 coats of lacquer. 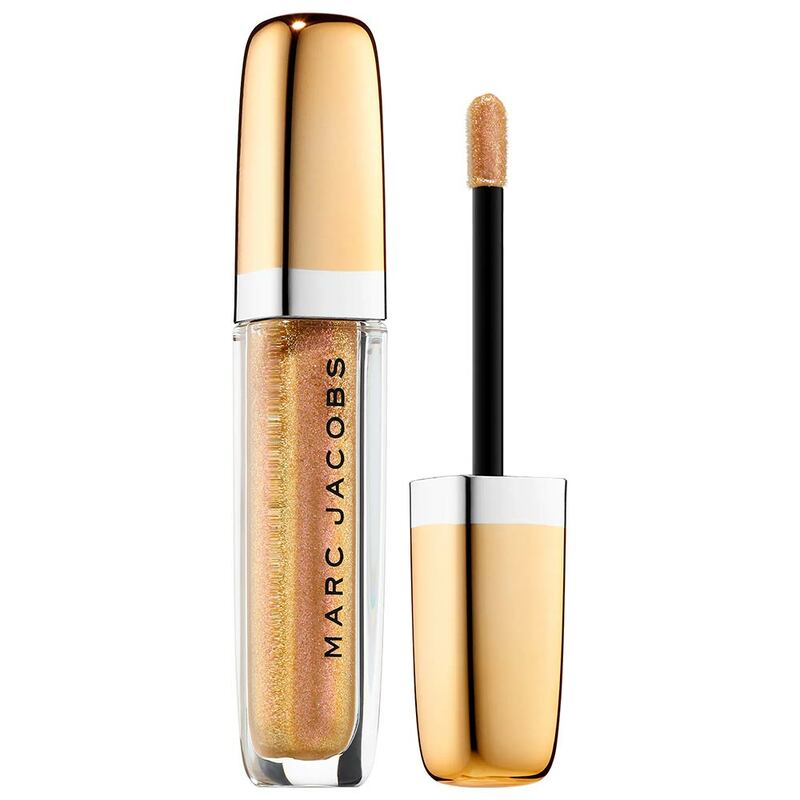 The brilliant shine contributes to an optical plumping look and feels cushiony on the lips, never sticky. This limited edition glitzy gold shade, Shine a Light, joins the bestselling Enamored lineup, giving lips lasting color and unbelievable glossiness with a touch of creamy mint flavor. A trio of mini Le Marc Liquid Lip Crayon features one brand new, exclusive shade, Red-y To Go, and two bestselling shades, Night Mauves and Plum N Get It. The creamy crayons melt into lips with a lightweight liquid sensation, providing powerful one-swipe color with bold impact. Instant color and up to 16 luxurious hours of longwear. A limited edition travel-size gift set of bestselling Velvet Noir Major Volume gives you the look of false lashes with super-concentrated black pigment and smudge-proof length and volume. 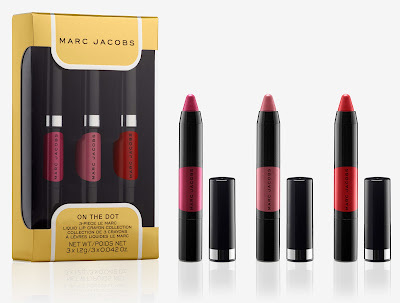 Le Marc Lip Crème in shade Kiss Kiss Bang Bang is a creamy 10-hour longwear lipstick that gives unprecedented payoff from concentrated color-boost pigments that are triple-milled and enriched with hydrating ingredients. Beautiful presented in a festive holiday cracker.